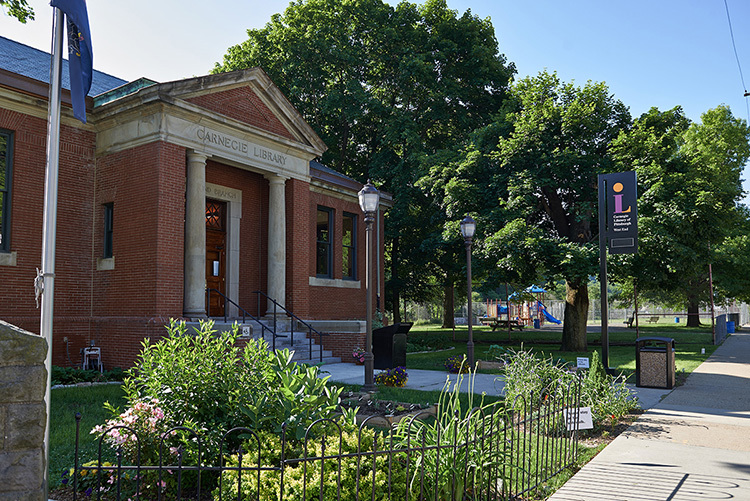 The West End Carnegie Library is one of several locations that will house a Financial Empowerment Center. Photo by Erika Gidley. Some Pittsburghers grow up learning to make a budget and establish good credit. But in underserved neighborhoods, many people struggle to break the cycle of poverty partly because they haven’t been taught these skills. This week, the City of Pittsburgh and the nonprofit development group Neighborhood Allies are launching a new public service program aimed at closing this gap. The Financial Empowerment Center (FEC) initiative will allow citizens to schedule free meetings with financial planners to get one-on-one counseling on subjects like paying down debt and opening affordable bank accounts. These services will be offered at eight partner locations across Allegheny County, including CoLab18 in Nova Place, Focus on Renewal in McKees Rocks and Carnegie Library’s West End branch. A full list of partner organizations and services offered can be found here. A full-time staff of four financial coaches and one supervisor, all of whom were hired and trained by Advantage Credit Counseling, will move between each location. The program is supported by the Cities for Financial Empowerment (CFE) Fund, a nonprofit organization dedicated to bringing free financial planning services to local governments and municipalities all over the nation. Altogether, the initiative will cost $666,000 over the next two years. While the vast majority of the funding is already secured from the CFE and other philanthropic partners, Pittsburgh City Council is also weighing a motion to contribute $30,000 in public funds. The motion was introduced by Councilmember Ricky Burgess today and will proceed to a vote tomorrow, March 20. Looking toward the future, Horn-Pyatt says he sees the FEC initiative remaining outside of the city budget. To continue funding their operations into the future, he hopes to see large banks and financial institutions step up. “Let’s be honest here, everybody who’s doing better with their budget is a potential mortgage customer, is a potential small business lending customer, a potential auto-lending customer,” Horn-Pyatt explains. The New York-based CFE fund is supported by Bloomberg Philanthropies as well as by banking companies such as Wells Fargo and JPMorgan Chase. The role of these financial institutions in funding the CFE is somewhat ironic, as both companies have paid billions of dollars in fines to settle claims that they misrepresented the quality of mortgage loans made in the run-up to the financial crisis. Separately, Wells Fargo has faced a variety of lawsuits for allegedly targeting minority borrowers with high-interest, predatory lending, which bank staff referred to internally as “ghetto loans.” JPMorgan Chase, meanwhile, paid $55 million in 2017 to settle allegations of discriminatory mortgage lending. It’s a subject Horn-Pyatt understands better than many. During his time working at the New Kensington Community Development Corporation in Philadelphia in 2012, he worked on the team that oversaw the money Wells Fargo was forced to pay Philadelphia and several other cities as part of a settlement over discriminatory lending. Horn-Pyatt says that these and other scandals should make large financiers think more about investing in creative, flexible support services like the FEC initiative. “If you were more likely to foreclose on homes in a certain community,” he says, “and more likely to give predatory loans to a certain demographic of people, well maybe now on the back end you ought to be having preferential treatment” for those same groups.